The ultimate Princess headpiece! Will fit children and adults. 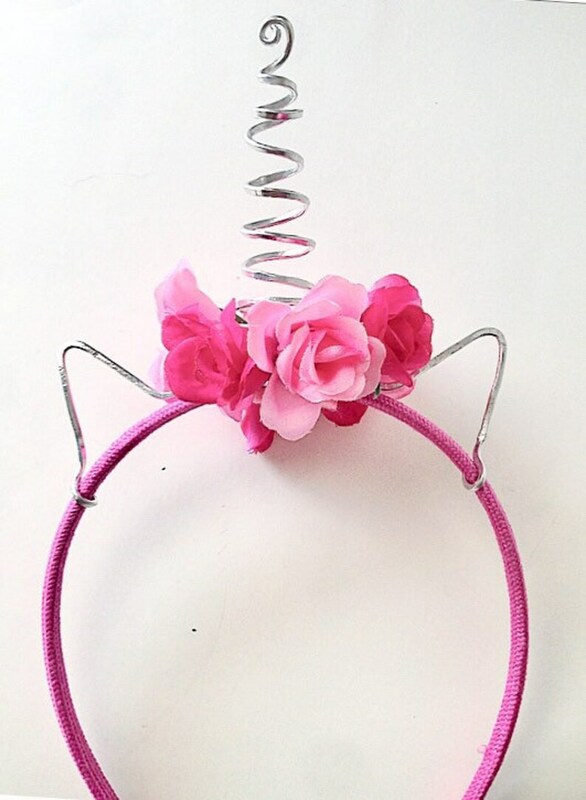 Made with a fabric covered plastic headband. The ears and horn are wire, wrapped and formed by hand, then decorated with fabric flowers, finished with a thick felt pad insert horn for comfort (so the wire doesn’t bother the wearer!). Your choice of black/silver, pink/pink, or white/pink.